dds are that if you’ve had any interest in writing a script within the past fifty years you’ve heard of the hero’s journey. A writer you got drinks with swore by it, a film professor suggested you read about it. Or you overheard the barista at your local coffee shop talking about how Die Hard is a picture-perfect template for it. The hero’s journey (or monomyth, if you’re one for brevity) is a storytelling archetype. It was made popular by Joseph Campbell in his 1949 book, The Hero With a Thousand Faces. Campbell drew from a variety of resources to whittle down the necessary components to a fantastic story in seventeen steps. The structure and the simplicity of the hero’s journey allows writers to paint by numbers. It’s a tool to create a story outline. It can also become a hero’s journey chart or worksheet. And then also go ahead and challenge your barista’s ridiculous notions about the structural integrity of Die Hard’s narrative. While Joseph Campbell’s Hero’s Journey is the de facto version, there have been many spinoffs. Kurt Vonnegut created a line graph detailing time and ill-fortune/good fortune, applying a format that could fit most genres. Christopher Vogler condensed Campbell’s monomyth from seventeen steps to twelve. Side note: You can grab a free story circle worksheeet here to help plot out your own story. It also inspired the video below where we break down the The Dark Knight into Harmon's 8-Step Story Circle. Regardless of how you choose to quantify your story, it helps to create a visualized perspective. While many examples are in the sci-fi or fantasy genre, this model applies to comedies, dramas, or any combination thereof. That way you can see the big picture while giving yourself a foundation. This allows you to zoom in and get more detailed. Now you can start writing your treatment with confidence and clarity, rather than a paralyzing fear of the blank page. That being said, this particular lesson will go into a detailed breakdown of Joseph Campbell’s classic 17 step template for the monomyth. All the steps of the monomyth feature three of your favorite franchises! Adventure is calling. Will your hero pick up? 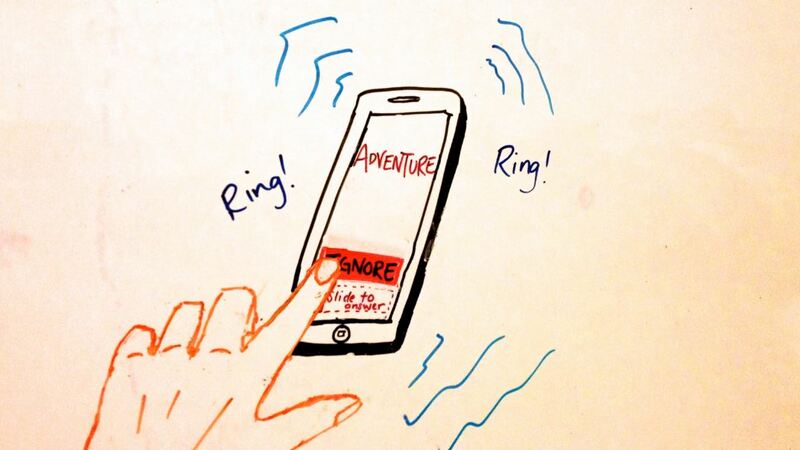 The initial step in the first act of the hero’s journey - known as the departure - is the “call to action." The Hero is beckoned to go on a journey. Think Frodo Baggins meeting Gandalf. Or the Owl inviting Harry Potter to Hogwarts. If having a tall wizard extend a hand may be a little too on the nose for you, don't worry. This comes in all forms. In Citizen Kane, the mystery surrounding Charles Foster Kane’s final words is the call to action for the reporter, Jerry Thompson, to get to work. Next is the Hero’s “refusal of call. ” The hero initially balks at the idea of leaving their lives. The Shire is beautiful, after all, who wants to embark on a dangerous journey across the world? This refusal is typically because of a duty or obligation they have at home. Be it family, or work, it’s something our Hero cares deeply about. Individuals give the Hero information or tools at the start of their journey to help their chances of completing the task. Rome wasn’t built in a day, and it definitely wasn’t built alone. Every hero has a set of allies helping them get the job done. From Luke, Han, and Chewie to Harry, Ron, and Hermoine, these teams are iconic and nearly inseparable. Now the hero ventures into a new, unfamiliar world where the rules and dangers are unknown. They’re not in Kansas anymore, Toto, and that becomes evidently clear when monkeys start flying. This stage often requires a few examples to crystalize the change in environment from familiar to dangerous. The contrast is key to play up how ill-prepared they initially are. Next thing you know, we're in “the belly of the whale.” The first point of real danger in the hero’s journey. This is Jonah moments before actually being in the belly of the whale. 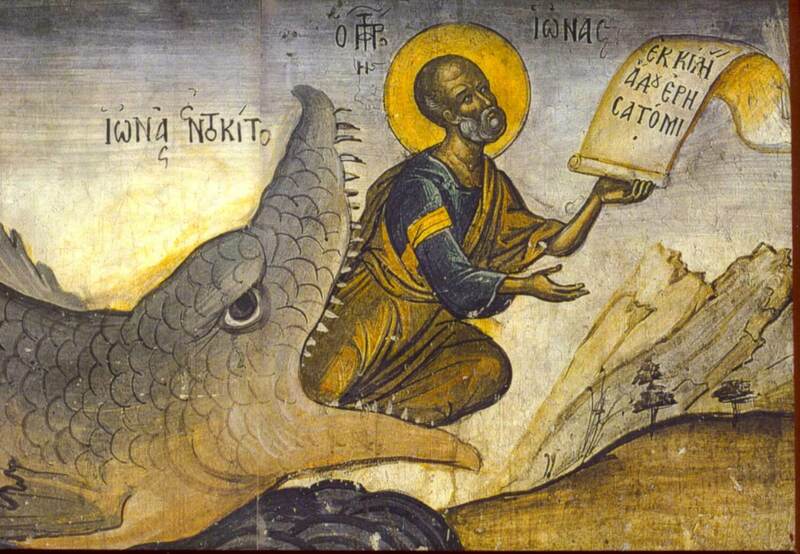 Taken from the Biblical story of Jonah entering a literal whale’s belly, it’s here that the dangers we’ve been warned about are manifested into tangible characters. Like hungry Orcs with swords. Now our Hero must make a decision to continue and, in turn, undergo a personal metamorphosis in the process. They will not be the same individual at the end of this tale as they were in the beginning. This must be made clear while in the belly of the whale, as we enter Initiation, or act two. Which is the longest slice of the hero’s journey pie. This part is filled with the most failure and risk, and ends with the climax. “Road of trials” is a set of, oftentimes, three tests that the Hero must take. Usually they will fail at least one of these tests. This could be a montage. It could also be a series of obstacles leading to a smaller goal in the journey. At this point in the monomyth, our Hero needs a break to adjust perspective and digest the ways they've changed. It’s here that they meet with an advisor, or a trusted individual, who will help them gain a better insight into the next steps of the journey. 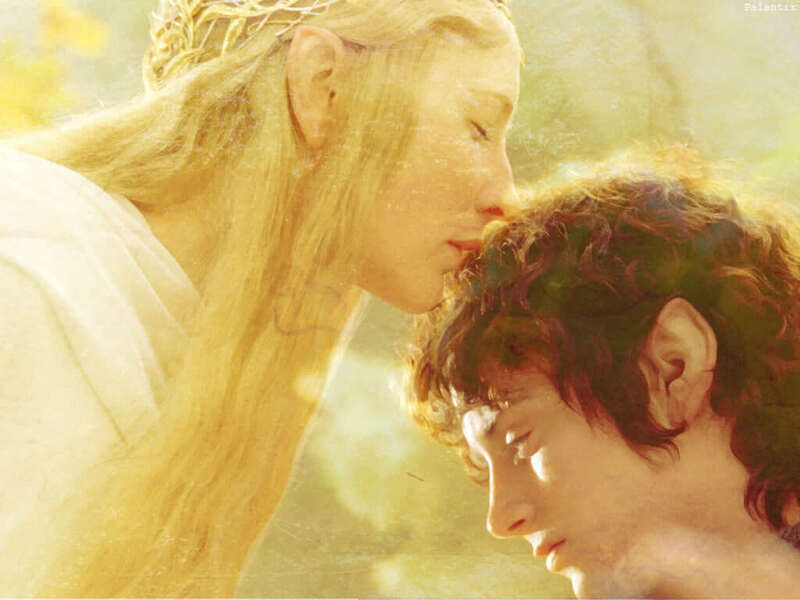 Frodo met with Galadriel, an elf who enlightened him with visions of potential futures. Luke met Leia, and the two formed of a bond of kinship, motivating them to commit more to their cause. This individual doesn’t have to be a woman, but whoever it is our hero will gain something from the wisdom they impart. But no good deed goes unpunished, and as we reward our Heroes in storytelling, we must also tempt them to failure. 8. Temptation: Or Maybe Not? Much like “road of trials,” “temptation” is a test in the hero’s journey. It presents a set of, well… temptations... that our Hero must either overcome or avoid. These temptations pick and pull at the insecurities of the Hero. A microcosm can be found in our own everyday lives with the simple act of getting out of bed. The temptation to stay in the cozy confines of our comforters (and comfort zones) can be strong and sometimes overwhelming. This must be manifested in our story with some type of a cheap way out. Or an opportunity to throw in the towel. Our Hero must decline and press forward, nobly facing danger. This is always an emotional part of the hero’s journey. It's a point in the monomyth where our protagonist must confront an aspect of their character from act one that has been slowing them down. Something that could be fatal to their journey in the coming climactic stages. While this is actuated as a confrontation with a male entity, it doesn’t have to be. The point here is that the Hero finds within themselves a change from who they were into someone more capable. Harry has to reconcile with the loss of his father figure, Dumbledore. Now take on Voldemort alone, using the lessons he’s learned on the way. And every other hero ever. This is the emotional climax of the story. "Tell your sister... you were riiiiiiiiiight..."
With a new sense of confidence and clarity we must then make our Hero deal with “apotheosis.” This is the stage of the hero’s journey where a greater perspective is achieved. 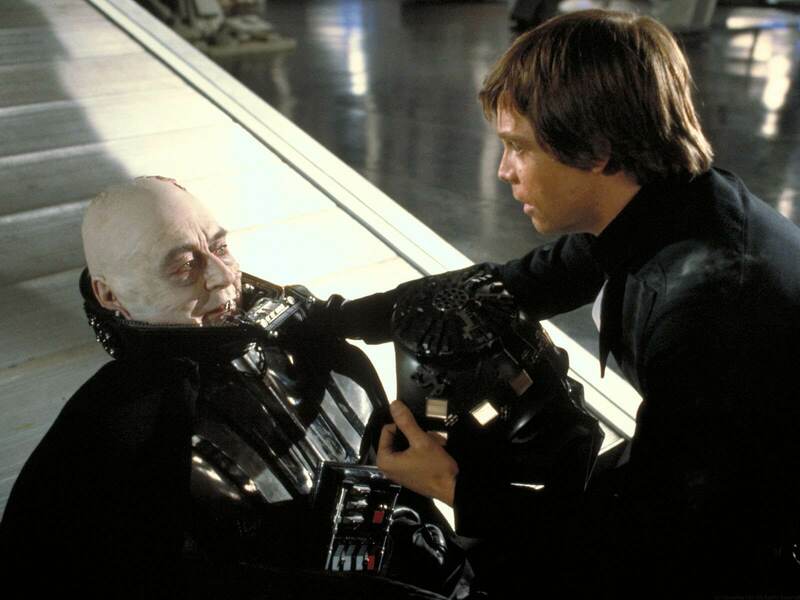 Often embodied by a death of the hero’s former self; where the old Frodo has died and the new one is born. But this is sometimes interpreted as a more “a-ha!” moment - a breakthrough that leads to the narrative’s climax. This, too, can be tied to the death of Dumbledore and Harry’s reconciliation with the loss. This monomyth step is the physical climax of the story. This is often considered the MacGuffin of a film - the physical object that drives our Hero’s motivation. In Pulp Fiction, we never find out what’s in the suitcase, but it’s the suitcase that led them on the wild journey. When we find out what “Rosebud” actually means, it simply forms a lynchpin to help us understand who Charles Foster Kane was. The mission is accomplished and the world can rest easy knowing that it is safe from evil. The Shire seems so boring now and the last thing Harry wants is to go back to that drawer under the stairs. And, oftentimes, the return can be just as dangerous. This is the beginning of the third act of Campbell’s hero’s journey (known as the Return) and, while shorter, should still contain conflict . This is the point in the hero’s journey where they must get out alive, often requiring the help of individuals they met along the way. Dorothy still has to get back to Kansas, the solution to which may seem like a leap of faith. Bringing us to the “rescuers from without” point in the monomyth. Just because Frodo destroyed the one ring to rule them all doesn’t mean he gets a free ride back to the Shire. 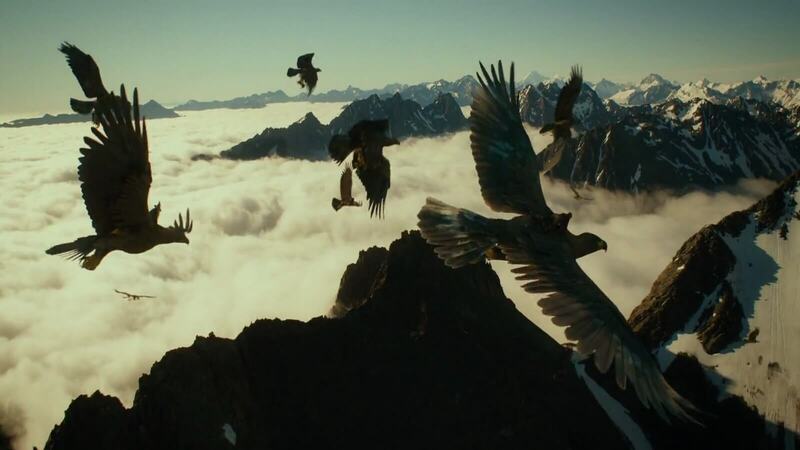 Remember those giant eagles we met a while back in act two? Well their back just in time! Once the Hero is back home, it’s time to acknowledge their change in character. “Crossing the return threshold” is the stage in the monomyth where the hero has left the chaos of the outer world and return home. But it's hard to adjust to the old world. Remember that scene where Frodo tried to enjoy a beer back at the shire? Hard to go back to normal when you essentially live with Dark Lord PTSD. The hero survived an adventure in the chaos realm, and now survives in the normal order realm. This makes him or her the master of two worlds. Not many people come back and live to tell the tale. Plus which, throughout the story, they’ve become someone much more capable and resilient than they were in act one. They've learned lessons, and brought what they learned home with them. Whatever issues they may have had before embarking on this chaotic tale (often the ones preventing from taking the call to action) now pale in comparison with what they’ve been through. In many ways the hero's journey is about death and rebirth. The story may manifest as the death of an aspect of character, and the birth of some new way of life. But the metaphor behind any story is one about mortality. Change is constant. Hero's living through the hero's journey are models for us. Models that we can travers the constant change of existence, face our mortality, and continue. In a religious sense, and religions are all part of the monomyth, this is about the eternal spirit. Look no farther than the prayer of St. Francis to understand this final step in the heroes quest. The monomyth is practically ubiquitous in Hollywood. As you’ve read earlier, Harry Potter, Star Wars, Lord of the Rings, and Citizen Kane all follow the hero’s journey. But, because this concept was built upon the foundations of major mythologies, it’s prevalent in Beowulf, the Odyssey, It's truly a "tale as old as time." Because Campbell discovered the Heroes Journey. He didn't make it up. Neither did those older myths. He realized as an anthropologist, that every culture all around the globe had the same story beats in all their myths. Sure, some myths, and some movies, use 10 of the 17, or even just 5. But throughout human history, around the world, these story beats keep showing up. In cultures that had nothing to do with one another. The Hero's Journey is a concept innate to being human. And if remembering these 17 steps may seem a little daunting, fear not. Make sure to check out Dan Harmon's abridged 8-step variation of the Hero's Journey monomyth. Same structure, just made more digestible. Practically speaking, the hero’s journey is an excellent tool for structuring an outline in a clear and familiar way. It has the power to make your script much more powerful and emotionally resonant. It’s circular, allowing for repeat adventures (which works well for television pilots) and each aspect drives the hero to the next. From the Goddess, the Hero finds temptation. From reconciling with the father, the Hero is now prepared for the final boon. Using a hero’s journey worksheet can help you create a well-structured outline or treatment, which is a valuable tool for creating a strong first draft. By putting in the seventeen steps of the hero’s journey before building the outline, you can ensure that the writing process will flow smoothly and efficiently. Let us know in the comments how the monomyth has helped you craft a tight story that escalates with every beat to an exciting climax.